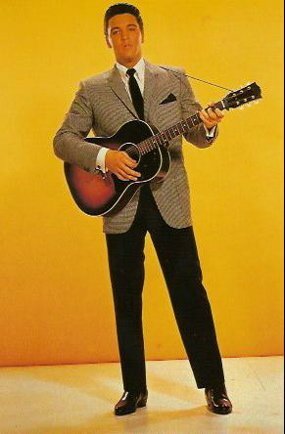 I became an Elvis Presley fan in November 1962. I can nail it down to that month because Girls! Girls! Girls! was in theaters when my Elvis epiphany struck. That same month an article titled, “Elvis Presley: How he changed his public image,” by Lloyd Shearer appeared in Parade magazine, a U.S. Sunday newspaper insert. I didn’t read Shearer’s article as a teenager back in ’62, but starting then and continuing through the years I read many like it. The Parade article is a perfect example of how Elvis and the Colonel used the press to cultivate a squeaky clean public image for Elvis in the sixties. 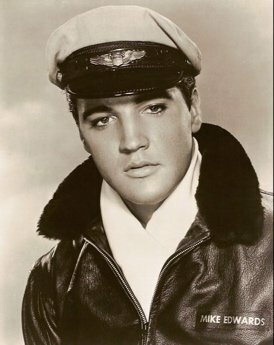 During that decade, millions of Elvis’s fans (including me) bought into the notion that Elvis was a near perfect human being, and the residue of that conviction still drives Presley’s popularity today. I’m not suggesting that Elvis was wholly unworthy of acclaim back then. He certainly had many admirable qualities, but we now know that he was not the flawless person often portrayed in the press. 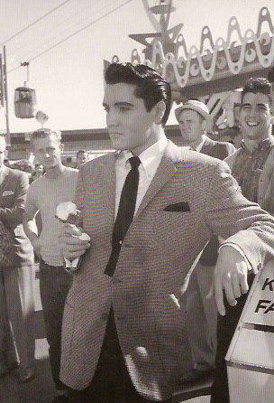 Shearer started out his article by reminding readers of Elvis’s bad boy image in the fifties. He then went on to left Elvis explain, “how he changed his public image.” Before getting to that, though, an explanation of how Shearer got his information and how he presented it is needed. 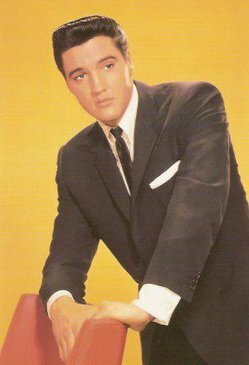 Shearer interviewed the 27-year-old Presley in August 1962 while Elvis was in Hollywood to begin work on It Happened At the World’s Fair. 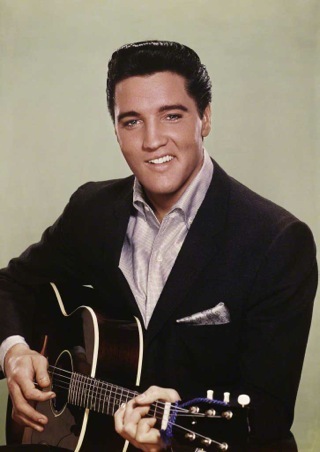 During the interview, Elvis uncharacteristically spoke at length about his personal feelings and professional goals. However, Elvis lost focus at times and rambled on and off topic in response to Shearer’s questions. For his Parade article, then, Shearer here and there grabbed partial quotes from Elvis, threw in some paraphrases and transitions, and presented them in paragraph form as lengthy direct quotations from Elvis. In fact, the nearly 1,000 words Shearer attributed directly to Elvis are actually a hybrid of some of Elvis’s comments and the author’s interpretation of them. Keeping that in mind, let’s see how Elvis addressed his public image in Shearer’s 1962 article. I never thought my act was immoral, and I don’t think so now. And I don’t think I’ve changed in any of the fundamentals. Sure, I’ve got more money, more material things, also more responsibilities. But I was raised to treat people, all people, with respect and courtesy, and I’ve always done that. My mother and daddy … they raised me to consider other people’s feelings, not to kick anybody on the way up or the way down. I’ve seen some stars out here behave in that ‘get-these-people-out-of-here’ attitude. They won’t sign autographs or pose for pictures and they want their sets closed … no visitors allowed … and all that jazz. That’s not for me. Where would I be without the support of the people? Why antagonize them? Why put on airs? Before I went into the Army, I guess I antagonized a lot of the men. Maybe they thought I was a lady’s man or a great lover. Maybe it was envy or jealousy. I don’t know. But I’ve never thought of myself as anything but a man’s man. In the Army I served just like anybody else. I had offers to entertain in Special Services and join this outfit and that outfit but I stayed in an armored division. And by the time I got out I reckon the fellows figured I was just one of them. No better, no worse. Actually, I’ve only got five guys living with me, and Billy Smith, my little cousin. He’s so small no one would give him a job, so I’ve put him on my payroll doing various odd jobs. The other boys—they all have specific jobs. One is a bookkeeper. Another takes care of the cars. Another helps drive my Dodge mobile home between Memphis and Hollywood. They look after my clothes; they do the packing and the unpacking. They also happen to be my buddies, my friends and in some cases my relatives. None of them are what you’d call intellectuals. I’m afraid of intellectuals, particularly out here. They bring dissension and envy and jealousy. I have my own way of learning, mostly through observation and reading and experience. And to my way of thinking, it’s more important to me to surround myself with people who can give happiness and receive happiness. Because if I’ve learned anything I’ve learned that you only pass through this life once, Jack. You don’t come back for an encore. I’ve had intellectuals tell me that I’ve got to progress as an actor, explore new horizons, take on new challenges, all that routine. I’d like to progress. But I’m smart enough to realize that you can’t bite off more than you can chew in this racket. You can’t go beyond your limitations. They want me to try an artistic picture. That’s fine. Maybe I can pull it off some day. But not now. I’ve done 11 pictures, and they’ve all made money. A certain type of audience likes me. I entertain them with what I’m doing. I’d be a fool to tamper with that kind of success. It’s ridiculous to take it on my own and say I’m going to appeal to a different type of audience, because I might not. Then if I goof, I’m all washed up, because they don’t give you many chances in this business. If you’re doing all right, you better keep at it until time itself changes things. Shearer created the following two paragraphs from a mish-mash of comments Elvis made throughout the interview. If you get along with people, why let success or money spoil you? Over the years I’ve become a fairly good judge of people. I stay away from those who can get me in trouble, particularly girls, because they can get a man in the worst sort of trouble. I stay with my own kind of people. I’ve got very simple pleasures. I like to play football. I like to read medical books. One time in high school I thought I’d become a doctor. I pick my own songs and my own pictures. And I mind my own business. My daddy invests my money. Colonel Parker manages my show-business career. I look after my private life. Right now I’d like to get married, but the older I get, the more choosy I become. To me right now the most desirable characteristics in a girl are a sense of humor, understanding and loyalty. I’ve dated quite a few girls, and women with those qualities are mighty hard to find, especially understanding. But I’m in no rush. I’ve learned to live with a little loneliness. And I’ve learned to take care of myself. I eat health foods. I weigh 174. I use a little will power and I don’t stuff myself. I smoke, but I don’t inhale and I just do it to use my hands instead of biting my fingernails. I’ve got a lot of nervous energy. "Over the years I’ve become a fairly good judge of people. I stay away from those who can get me in trouble, particularly girls, because they can get a man in the worst sort of trouble."